Angela originally joined Berkeley Food & Housing Project in 2013, as the Healthcare Coordinator, where she helped to connect individuals experiencing homelessness to healthcare services and insurance through the Affordable Care Act. She then assisted in the start of the SSVF program in the role of Program Coordinator, helping to develop the policy and procedures of the new program and ensure its strong start in housing homeless veterans. Angela took a short hiatus from BFHP in 2015, to assist with the implementation of tobacco control policies as a Health Education Specialist for Solano County Public Health (SCPH). During her time at SCPH, Angela managed the Tobacco Prevention & Education Program, facilitated the smoking cessation classes, and worked on tobacco density/zoning and smoke-free policies for various jurisdictions in Solano County. Angela was thrilled to rejoin the BFHP team in 2017, to help with the expansion of the Roads Home Program in Sacramento and Amador Counties. As the Senior Program Manager, Angela oversees the homeless veterans’ services program in Alameda, Contra Costa, Solano, Sacramento, and Amador Counties. Angela is honored and humbled at the opportunity to assist our military veterans, and their families, in regaining housing security and stability. 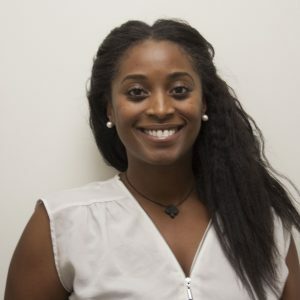 Angela earned her Master’s in Public Health (MPH) in 2013 from Touro University where she conducted her field study research and dissertation in Ethiopia on adolescent reproductive health. She also earned her Master’s in Business Administration (MBA) from the University of Phoenix in 2017.